Olive oil is an essential ingredient in many dishes like pasta and salads. But did you know that it can also be a great addition to your beauty arsenal? Olive oil is chiefly produced in Mediterranean countries and has been used for thousands of years. The golden cold-pressed oil found in almost every home is commonly used in cooking, but is also used in pharmaceuticals, cosmetics, and even as fuel. Because of its history, it is most likely one of the earliest homemade beauty ingredients used. Its earliest beauty uses extends back to Egyptian times, where olive oil was used as a cleanser, moisturizer, and anti-bacterial agent. It is also said that olive oil was one of Cleopatra’s infamous beauty treatments, along with honey facials and milk baths. Fast forward to modern times, olive oil is once again gaining popularity as a natural beauty ingredient. After all, olive oil is packed with powerful antioxidants that combat free radicals that are chiefly responsible for many skin problems. 1. Olive oil helps treat dry or damaged hair. Your hair goes through a lot of stress from styling, sun exposure, among others. Using olive oil as a deep conditioning treatment can help fix these damages. Take 1-2 tablespoons and comb it through your hair, rubbing it onto your scalp. Cover with a showercap and leave for an hour. 2. Olive oil helps control frizzy hair. If you want to tame thick, frizzy hair, olive oil may just be the solution to your woes. Pour a few drops on your hand, rub them together, and lightly comb through your hair with your hands. Take care not to use too much, or your hair might look greasy. 3. Olive oil is a great skin moisturizer. This oil is a great natural alternative to chemical-laden skin products. Olive oil has been found to be an effective moisturizer for the skin, especially during the colder months when the skin tends to dry out easily. The antioxidants in olive oil can also help fight the free radicals that are primarily responsible for skin aging. 4. Olive oil can be used as a cuticle conditioner. Your nails can benefit from this wonder oil, too. You can use olive oil as a cuticle softener, and to grow stronger, longer nails. 5. Olive oil is an effective makeup remover. Olive oil is especially great at removing oil-based products like stubborn eye makeup. Use olive oil to pre-cleanse, then follow up with warm water and a gentle facial wash. 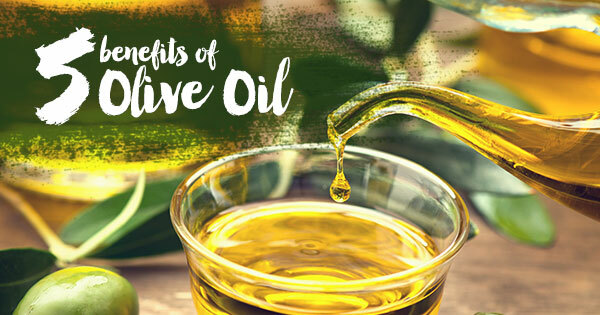 Discover more of the wonders that Olive oil can do to your skin! The Moringa-O2 skin care system combines Olive oil with Moringa and Omega from Sunflower oil to give your skin the TLC it deserves.